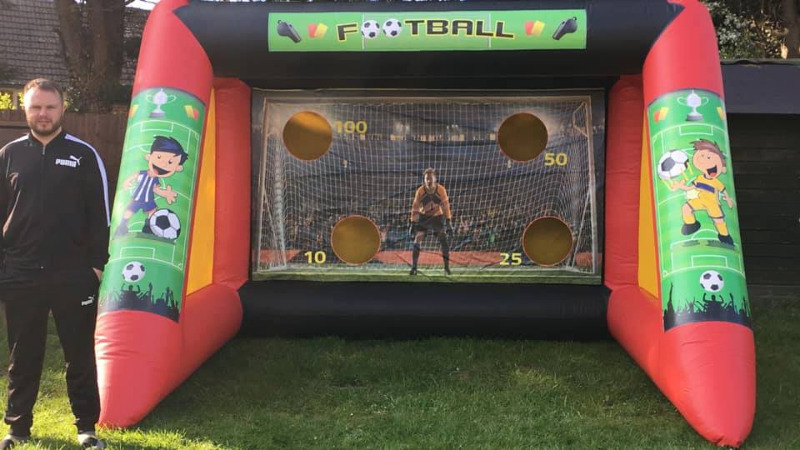 Our new penalty shootout, ideal for fetes, fundraisers or garden parties. 12ft wide, 8ft tall 11ft deep. £70 to hire or £55 if hired together with another inflatable.